Few things are as relaxing as a nice soak in the tub. However, a bathroom will all the sharp corners and slippery floors can pose many hazards, especially to the infirm and elderly. 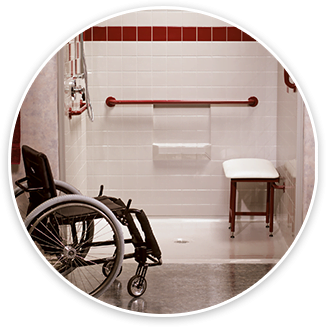 Safe Bathing Canada can help minimize the risks of bathroom injuries and allow you to relax in maximum comfort. Allow us to create a safe, luxurious spa experience by replacing your shower or bathtub with a walk in tub with a variety of innovative safety features. No matter what your situation, we can recommend and provide a walk in tub that suits your needs, allowing you to bath in comfort. Our rugged, durable walk in tubs are manufactured using the highest quality materials that not only last long, but they also feature luxurious finishes. The color options will suit your bathroom decor to perfection, and you can choose from chrome or brass designer faucets to match your bathroom. Safe Bathing Canada employs highly trained and experienced installation experts in Kitchener. Not only are they manufacturer trained to know the benefits and features of our walk in tubs, but they are can accurately install the plumbing and electrical works that make your walk in tub a success. Additionally, they have the skills to help assess your personal requirements and to provide a competitive quote on the best walk in tub for your needs. Contact our Safe Bathing Canada experts in Kitchener today to find out how a walk in tub will benefit your home, and how you can own one for as little as $5 a day. Our consultants are standing by.